Come Stay With us in San Antonio. Nestled In The San Antonio Business District On 410. This Hotel Has 124 Spacious Guestrooms That Appeal To Families And Is Equipped For Business Travelers With Flexible Workspace. Stay With Family At Pear Tree Inn By Drury. Dont miss our great Free Hot Breakfast Buffet with sausage/ Belgian waffles/ biscuits and gravy/ fresh fruit/ bagels/ and pastries. Enjoy Free Evening Beverages and Snacks including chips and salsa/ nacho cheese/ pretzels/ beer and wine. - subject to state and local laws.- Satisfaction Guaranteed Hotel Has Designed Interior Corridors. For eleven consecutive years J.D. Power has recognized Drury Hotels with the award for Highest in Guest Satisfaction Among Mid-Scale Hotel Chains. 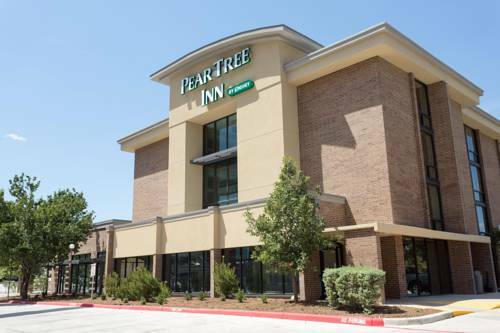 Come stay with family at Pear Tree Inn by Drury Hotels. Miscellaneous Information - Free Extended Continental Breakfast served daily / Outdoor Pool / Indoor Corridor / Elevator / Guest Laundry / Cable TV / Free Local Phone Calls One Hour Of Domestic U.S. Long Distance Calls Per Night / 100pct Satisfaction Guarantee Awards / 3 Diamond AAA Rated.